Most of the homes in Costa Rica have roof leaks and need waterproofing because here we are located around 10 degrees from the equator and the ultraviolet radiation is intense and causes premature deterioration of roofing materials. Unfortunately, it’s pretty common for homeowners to ignore their roofs until it rains and water ends up inside, causing damage to ceilings and other interior building materials. Because most roofs are not visible without climbing up on a ladder, an “out of sight out of mind” attitude usually prevails. When it comes to your homes roof, it’s important to be proactive, and avoid the cost of having to completely re-roof your home. For this reason, it’s important to look out for the telltale signs to ensure your roof doesn’t deteriorate past the point of no return. There are many different ways to tell whether a roof needs attention. The simplest way is looking for visual damage. If a roof looks worn and old, it’s time for a roof restoration. Furthermore, if there are obvious signs of damage, like broken tiles or if you’ve noticed a pest infestation or water stains on exterior soffits or interior ceilings, it’s time to act now. With a range of different styles of roofs installed here, the visual signs differ, depending on the type of finished roofing materials installed. Below you can review the different types of roofs and the best tips for determining whether a roof restoration is necessary. 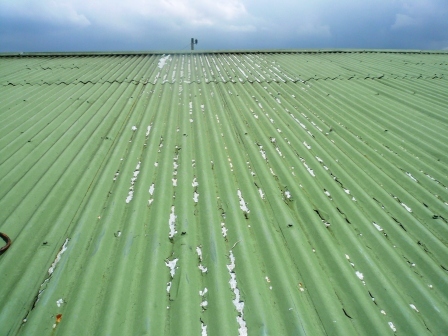 Metal laminates are the most common finished roofing material in Costa Rica. If your home features a metal roof, it’s important to be on the lookout for any gaps under laminates and flashing materials, especially the high-profile type. Despite the metal laminates being painted with anti-corrosive paint after they are installed, they can still leak and deteriorate. If the painted surface is peeling, it’s time to call for a roof inspection. There are a number of other factors that can make roofs decline. Improper installation of the fastening screws can cause leaks when the rubber washers on the screws dry out from intense ultraviolet rays of the sun. Furthermore, damage and defects that are inherent on the metal surface can emerge after a period of time. Even if your roof has been installed properly, metal laminates do fade, and that can really detract from the overall visual appearance. Basically, if you take a look at a metal roof, and you see that the overlaps of the laminates have gaps under them, it’s wise to call a professional to inspect the roof. 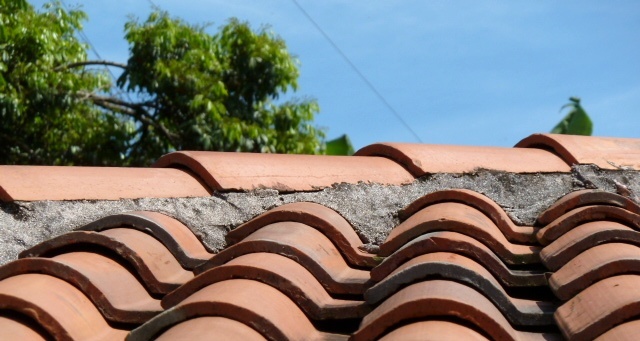 For houses with clay tile roofing, moisture problems can become an issue as the roof ages. Clay tiles are porous and they absorb moisture. Problems with moss and mold can arise and must be removed, and then the tiles should be cleaned. Clay tiles can also become brittle as they age and then they break and water enters in the gaps. For this type of roofing, it is recommended to have a quality antifungal solution applied to the surface. This will help prevent the growth of moss and mold. During the past ten years, a number of recycled plastic roof tile manufacturers have been distributing tiles that have turned out to be problematic and their lifespan is short. The newer technologies are better quality and their appearance is similar to traditional clay tiles and much lighter. If you notice that the tiles have cracks or holes in them, it is wise to call for a roof inspection. Some homeowners choose shingles for their appearance and durability. This type of roofing is also renowned to enhance the appearance of your home with its unique style. 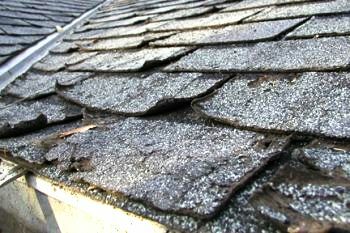 Unfortunately, shingles start to lose a lot of their natural protection after about five years of exposure to rain and ultraviolet radiation. If you notice some shingles are not flat or missing, you will need to invest in a roof restoration. In Costa Rica, once the rainy season begins, many folks realize that leaky roofs and flashing installations need repairs or replacement. From my thirty-five years of construction experience, I have found that it is not prudent to participate in roof projects unless quality roofing materials and proven installation methods can be utilized to completely solve all the problems. This way, the clients are not inconvenienced by the contractor needing to return several times to complete the work to the client’s satisfaction. The highest quality of roofing products that I have found during my 35 years of construction experience are the Decra products and they are now available in Costa Rica. The Decra products come in several styles, including the typical barrel tile profile in three colors; terracotta, grey and green. Decra Shake profile is flatter and more square than the barrel profile and is available in grey, chestnut and charcoal. The Milana Rose profile has a traditional appearance with more details. The installation of the Decra roof system does not require perforation of the roof underlayment or sheathing and the tiles are attached on the vertical profile to keep them from expanding or contracting and this eliminates leaks and movement during strong winds. Additionally, the ridge caps are attached on top of the roof tiles after they have been bent up using a special machine. If you select this quality roofing system, you will no longer need annual revisions and re-installation of exterior sealants and quick fix roof repair materials that deteriorate from the intense ultraviolet radiation in Costa Rica. The installation of the Decra Roof system will solve all current roofing problems and it is guaranteed for 15 years. In conclusion, it is wise to appropriate as much money as necessary to receive the best roof available for your dwelling. Keep in mind that your roof is one of the most important components to protect your investment, personal possessions and peace of mind. Now that you know the different signs to look out for, it’s important to be proactive. If you notice your roof has any of the above problems, contact a professional to inspect your roof and help you determine your options. If you would like to review a Roof Inspection Report, click here. The writer, Tom Rosenberger has lived and worked in Costa Rica since 1993 and from his travels throughout the country inspecting homes and condominiums, he has acquired a wealth of knowledge about construction in Costa Rica. If you have questions and would like to contact Tom click here.